Kendal’s name is taken from the name of a tree which is tree Kendal. Lush leafy tree that had been known since the time of the Demak Kingdom in the year 1500 – 1546 AD ie during the Sultan Trenggono government. At the beginning of his reign in 1521 AD, the Emperor had ruled Trenggono Sunan Katong to order the Pakuwojo Heritage. Events that create conflict and lead to conflict and cause of death was recorded in the inscription. Even now the tomb of the two figures in the history of Kendal who are in the Village District Kaliwungu Protomulyo was still sacred society at large. According to the story, Sunan Katong been stunned at the beauty and the shade of a tree that grows in Kendal neighborhood. While enjoying the scenery visible Kendal tree “juice” was, he mentioned that the area would soon called “Kendalsari”. Large trees by people mentioned in the edge of Kendal Youth Jln was also known by the name because Growong Kendal or growong hollow stems. Intellectual and Cultural Influence of Hinduism and Culture Priyayi growth. The oldest evidence for the existence of the countries of the Hindu Javanese inscriptions from the stones found on the north coast of West Java, approximately 60 kilometers east of Jakarta in the valley of the Cisadane river. Although there is no date on the plaque, but the views from the shape and style of South Indian characters of his writings can be seen that the stele is a description of a ceremony conducted by a king to celebrate the inauguration of the irrigation and construction of religious buildings in the 4th century AD. This is the King of Indonesia who try to imitate the Indian lifestyle, using Hindu names and invite people from the Indian Brahmins as consultants who can introduce intellectual and literary culture in the Hindu palace (Coedes 1948). He seems to get clues from the Brahmin is the royal ceremonial organization, as the basis of a system that kingdom ruled by a king is sacred. Hindu intellectual culture that may have dominated almost all of Southeast Asia at the time, but the biggest influence on the community court, while the Hindu concepts only slightly affected farming communities in rural areas, which probably means his life has not changed much since many centuries ago . (Koentjaraningrat, Culture of Java, page.38). The quotation above shows that the 4th century AD the Javanese ethnic group has known letters and intellectual culture of South India. And intellectual culture of India with the state philosophy and mythology gods have been tapped to expand the power of the king and gentleman scholar delivery layer and the environment court. 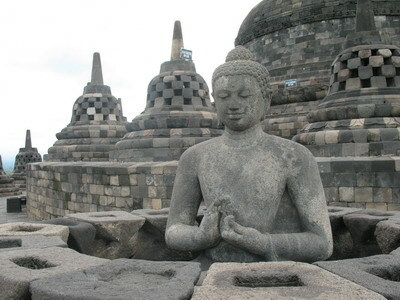 So in the nineteenth century to the 8th and 9th of how emerging intellectual culture Kejawen appear in reliefs of religious buildings of Borobudur and Prambanan temples, which are wonders of the world. That scholars who picked up the ball Java, tapping and processing elements of Hinduism for the development of culture and refining Kejawen culture. That the influence of Hinduism ‘teresapi’ in depth is the top layer; the gentleman in the neighborhood culture palace Javanese kingdoms; ‘pedesan’ The farming communities remained in the darkness of illiteracy and customs on the basis of long-animist religious dynamism. One thing to note in this review, that Hinduism has a parallel premise in line with religious or animist-dynamism. Namely that human beings can establish a direct relationship with the gods and spirits smooth. Even with the behavior tapa (continence Brata) people can be powerful and have united with god. So the influence of Hinduism actually nourish and enhance shamans behavior concerns the influence of spirits and supernatural power. Perwayangan literature (Mahabharata and Ramayana) that developed in the kingdoms of East Java demonstrated a direct relationship between humans and the gods. In literature ‘perwayangan’ demonstrated that people can be possessed by the spirit and the embodiment of god, such as the god Vishnu nitis in Krishna, the god incarnate Komojoyo in Harjuna, and so on. This is certainly in line with the basic idea of animism, dynamism possessed or possessed by spirits or ‘kesurupan’. So-certia mythological story of the gods of Hindu mythology and heroic characters perwayangan is refining and enhancing cultural Kejawen environment based on the court. So Kejawen Hindu culture is like the hills that rose in the middle of the valley of the traditional culture of peasant communities that only a thin touched intellectual culture of Hinduism. Intellectual culture of Hindu-Buddhist who intercepted and processed by the scholars of Java’s mystical philosophy culminated in the pantheis. That is the view that man is a little universe, and is a reflection or a miniature of the universe gedhe (the universe) and God (Brahman). The main characteristic of any mystical belief must be fostered in the form of mythological and guruisme educational system. So mystical Hinduism and Buddhism to support strengthening the authority of the kings of Java with the concept of god King Titising (Godking). 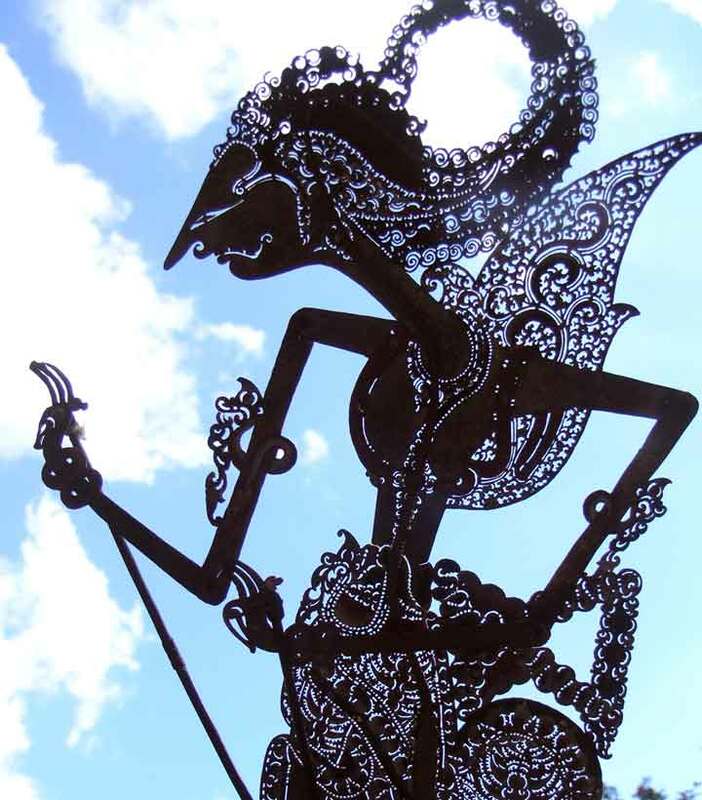 Similarly, in the mythological epic Mahabharata and Ramayana are utilized as the ancestors of the Javanese kings is the most effective weapon for political power mengkeramatkan kings and their palaces priyayi Java environments. Perwayangan mythology is the finest facilities and most efficient way to expand the power and sanctity propagandize the King and the gentleman class main supporters. So easy to imagine that the philosophy of mystical and mythological stories rooted in a culture very Kejawen very expressive, which they value very fine and noble adi. Islam began to spread to Indonesia since the 13th century AD, it was initially difficult to penetrate and be accepted within the great traditions of Hindu culture Kejawen, centered in the royal palace interior. Therefore forced to start by crawling Islamkan to rural farming communities, especially along the northern coast of Java island. Rural areas which had been a small tradition with illiterate people can finally conjured a great tradition of cultural match for Hindu-Javanese beliefs. Ie, by developing a culture of religious literature, especially Arabic-speaking. The oldest Java Script can be saved by Dutch shipping, the scientific discussion later known as Het Boek van Bonang. Islamic manuscripts written in Tuban estimated in the 16th century AD It mentioned that the source of the Ihya ” Ulum al-Din and Tauhid. 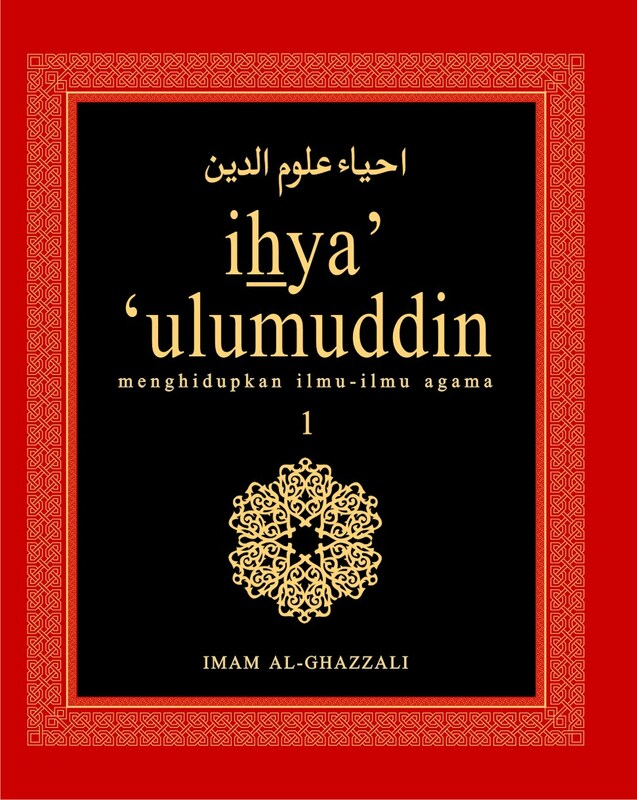 So the book Ihya ‘which is the book of the greatest mysticism and Masyur been known in Java in the 16th century. 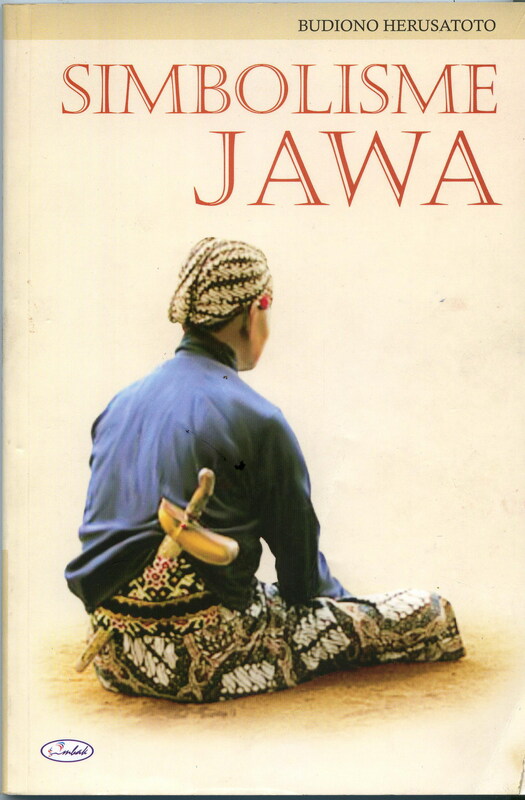 So it is easy to imagine that the 16th century it was both politically (the establishment of Islamic kingdom in Java, Demak), or in the literary culture of the pesantren, has a great tradition of Hindu culture match for Kejawen majapahit based in that period. Even then the Majapahit kingdom fell and the political power shifted to Java-Islamic kingdom of Demak. Historically, Islam came and spread to Indonesia’s Muslims have been influenced by the mystical teachings. Sufi Islam that is not syarr’i Sunni Islam. Indeed since the 13th century, ie since the decline of the greatness of the city of Baghdad as the cultural center of Sunni Islam (Syari’i) the dominance bermulalah Sufi Islam. Because of the spread of Islam to Indonesia is the Sufis, the Islamic religious teachings have certainly had dimistikkan this premise that parallel to the original religion of animism and dynamism. Even with the teachings of Hindu-Javanese beliefs culture developed by the Javanese kingdoms inland, equally mystical, certainly have a consistent rationale. Namely, that humans can establish a direct relationship with the powers and supernatural spirits. Even in the mystical through contemplation or through the medium of human remembrance can be said makrifat (as opposed to God) or even could have united (united) returned with his God. So there is no problem for rural farmers to enhance their worship of the unseen spirits to the spirit-guardians guardians of powerful magic, such as Sheikh Abdul Qadir al-Gilani, and others. Similarly, adherents priyayi Kejawen cultural traditions no problem tapping and processing elements of the Islamic mystical philosophy to integrate with the cultural heritage of Hindu tradition-Kejawen. For them just to add and improve or replace the object mitologinya of Hindu gods to Wali-wali in Islam. Especially for the Java gentleman always been important and is the number one position or political power, and not religion. For their second religion; even for positions concurrently two religions does not matter. That is the attitude of the king grants to majapahit kings who proudly claimed to Shiva-Buddhist religions. Therefore, when power shifted from the kingdom of Majapahit to the Sultanate of Demak, Java poets immediately thrust the concept of transition time. Kabudan ie from the time (the time of Hindu-Javanese beliefs) to Kewalen time. Realization of this period of transition followed by the preparation of engineering Wali Sanga fairy tale story for Menganti mythology about Jawata (Chairman of the gods) Sanga of Java-Hindu era. So the interests of political power is absolute. Therefore, since the reign of Sultan Agung to the time of Surakarta, the effort to process the Islamic elements for the improvement and enrichment and refining the heritage of pre-Islamic culture is a strategy the palace of Mataram Kingdom. This process Jawanisasi activities of Islamic elements, especially elements sufismenya, a cultural strategy of the poets and writers Mataram palace. Mataram era was the peak of literary greatness Kejawen culture, of the moralist and the mythological character like “Babad Tanah Java”, “Babad Demak”, “Annals Giyanti”, “Fiber Ambiya”, “Tapel Adam”, and others. Anyway peak mystical literature and mythology of the most refined Javanese beliefs and a rich developed Mataram Period, such as various kinds of fiber Javanese mysticism, “Fiber Gatholoco”, “Wedhatama”, “Wulangreh”, “Centhini”, “Fiber Dewaruci”, and so on . Similarly, smooth top Javanese language and literature with character is the product of feudalism Mataram era; was mid-day and ancient Java, the language more simple and democratic. Since emerging subtleties that Javanese literature related to the loss of power in the era of colonialism Surakarta, the peak is very mystical literature and feudalism. This is compensated to maintain the prestige of the kings of Java. Ie through pengkeramatan, pemitosan by means of mystical concepts. So the Islamic Sciences or Kejawen Kejawen was very complex. Of animism, dynamism pedukunannya system, ie prewangan shamans or spirits possessed fine, until the mystical concepts of Hinduism, integrated into one. Pesantren community adopted many pagan traditions and beliefs with science-dynamism incantations or santetnya (tenungnya). Thus the Islamic culture Kejawen Hinduan The gentleman who developed the Java environment court, the traditions and animist beliefs, and mystical dynamism remains Kejawennya developed to support the establishment of the kingdom and authority gentleman class. Boarding school in the community tersusupi beliefs and traditions of animism, dynamism. In contrast, in the great tradition of culture that occurred Kejawen Jawanisasi process elements of Islam, especially sufismenya elements. Islamic Culture and Islamic boarding Kejawen was inspired by the mysticism or Sufism. And the mystical culture of Sufism or is associated with black magic (occult). Pesantren and culture of this mystical Javanese beliefs being challenged and a new onslaught from two directions after the colonial government began to open education public schools since the mid-late 19th century AD. Public school education is to develop ways of thinking rationally and scientifically, which of course directly discredit and marginalize the mystical culture, whether boarding or a Javanese beliefs. Besides its influence in society led Pesantren Islamic reform movement that began to transform the Muhammadiyah movement in the year 1912 AD Islamic Reformation is the call back to the pure Sunni Islam on the basis of Qur’an and Sunnah. That is reviving a scientific way of rational thinking to develop institutions of ijtihad. So the Islamic reformers reject the teachings of Sufism because votes become the source of innovation and development khufarat. And back to the pure Sunni schools of a premise of a rational and scientific, so the system quickly adapts to the modern Western education. So this reformist Islamic movement quickly produced cadres or sympathizers support from Muslim scholars who can speak on the great traditions environment, both in affairs (of) religious or general studies. That the birth of modern science great new tradition based in universities. That gave birth to the community of scholars with the analytical tradition of critical thinking. So to be able to speak much in the tradition of new large, namely, in the scholar is able to master how to think analytically and critically. Mature science way of thinking and develop self-reliance. Democratic societies are also desperate for the maturity of thought and independence, for democracy precisely philosophy of individualism. From this perspective, it seems most people in Indonesia not ready for cultural industries and cultural democracy. This is clear since menyeruaknya riot and rampage during successive campaigns since the last general election, until goro-goro santhet problems in Banyuwangi. Society still easily consumed by the issue and vigilante. Similarly, in the crowded, noisy rally in refornasi movement, still visible muscles and Waton match gedhe jegoge; and then followed the kidnappings and indicates the approach kekrasan vigilantism. Issues and the fury of the masses santhet vigilantism is rawannya indicates how the vast majority of Indonesian people, especially exactly in boarding centers made toys interest groups. This represents the largest part of state marginality of Muslims until the emotions and be easy fodder for the propagator of the issue.